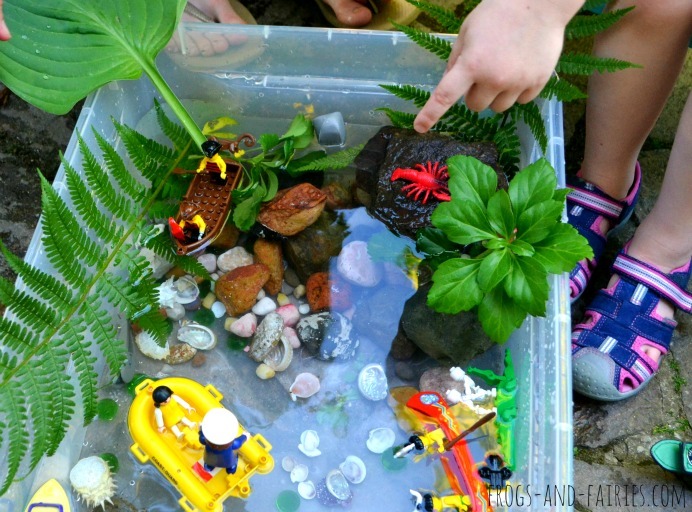 In these hot summer days, playing in or around water is more than just fun, plus you can have your little piece of the seaside right in your home, garden or balcony! 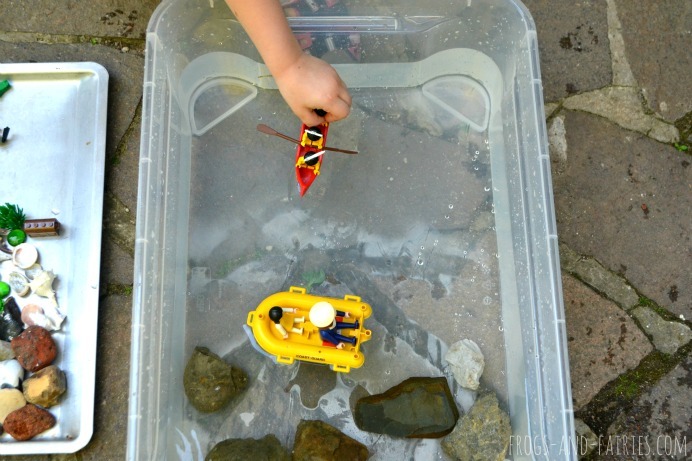 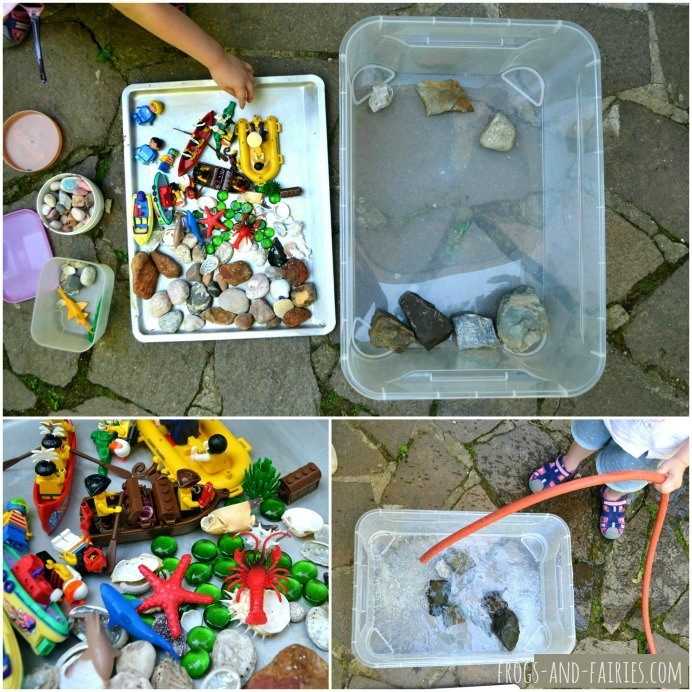 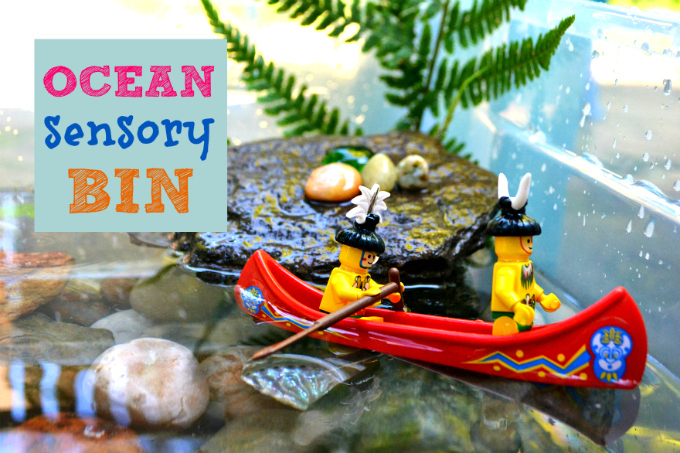 All you need to make a fun ocean sensory bin adventure, is a large PVC container and a few accessories like stones/rocks, plants, sea shells, plastic animal toys, Legos, pearls or whatever you have on hand that’s appropriate to use in this case and would be fun to include in the game. 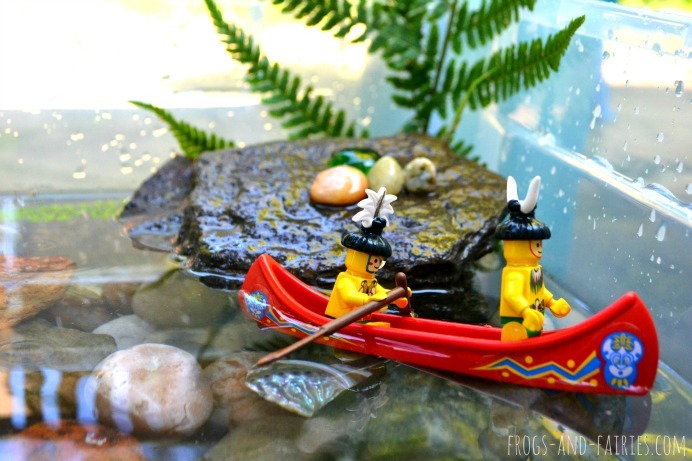 In our little sea we encountered native tribes, pirates with a chest full of treasure, which was frequently lost in the deep waters of our little sea. 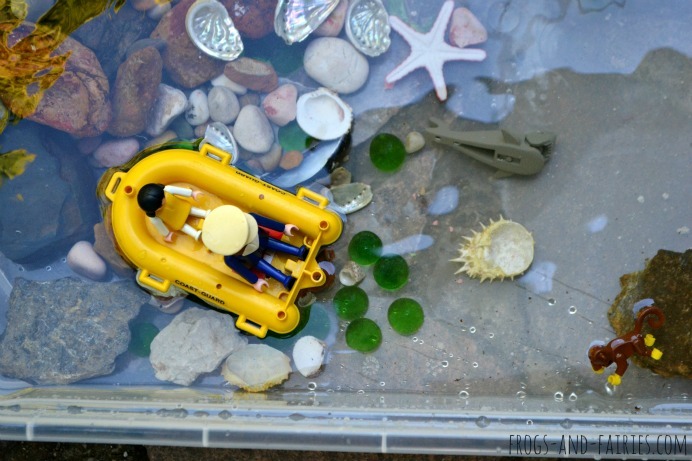 When that happened, we had to call in divers to help retrieve the treasure and other lost objects. 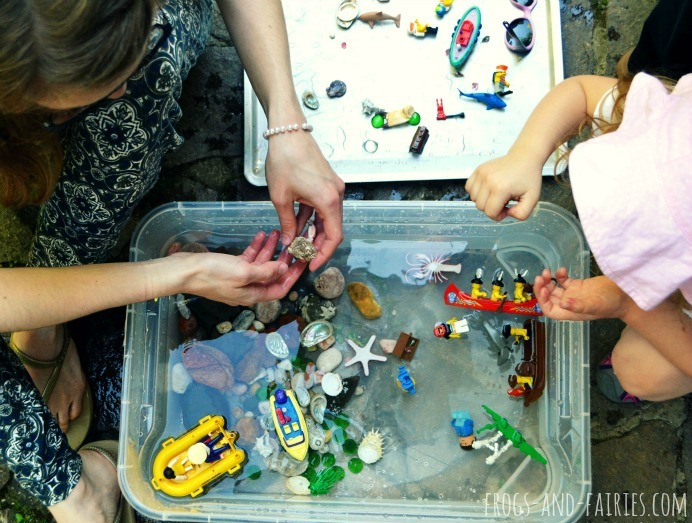 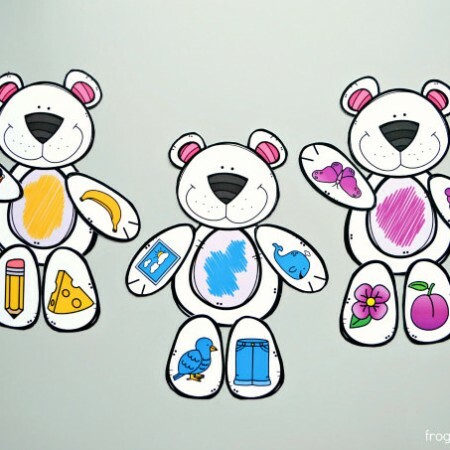 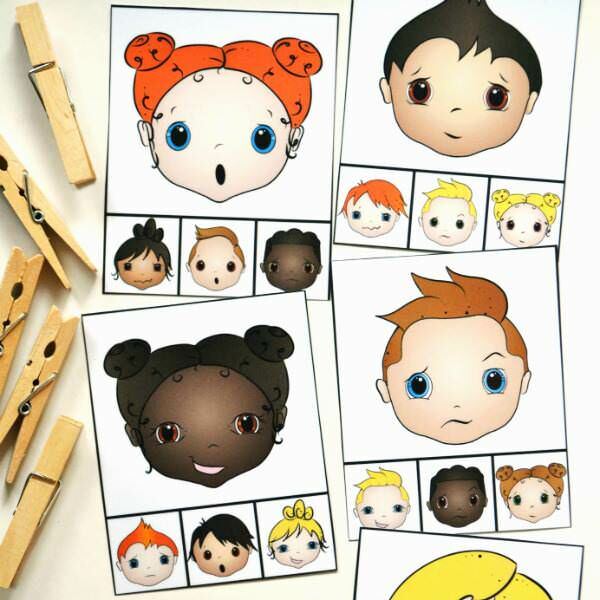 We adapted the game to the toys and items we found in and around our house. 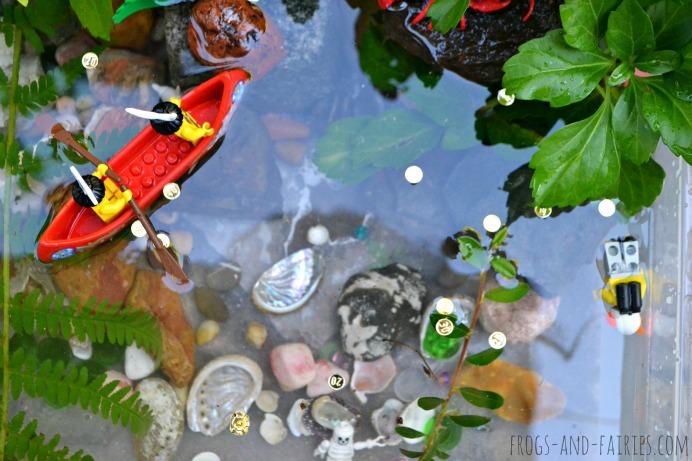 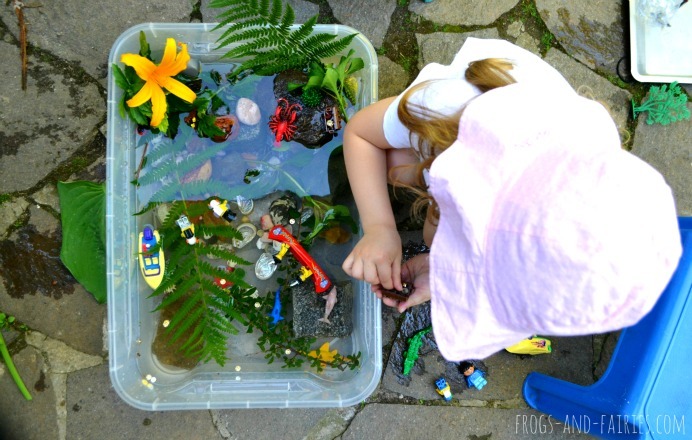 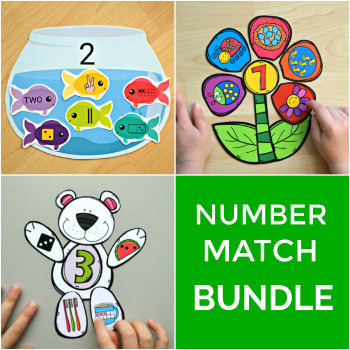 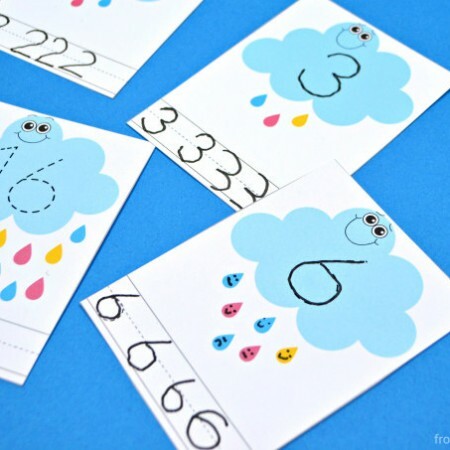 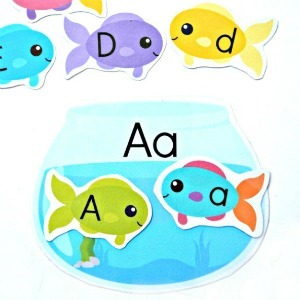 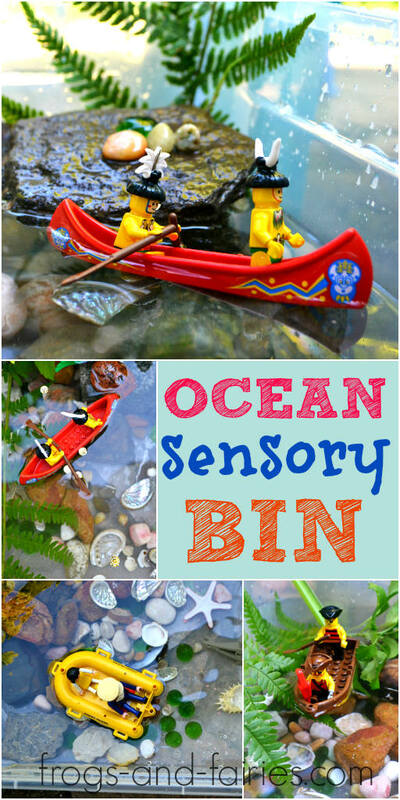 You can play a completely different game and make your own little ocean sensory bin, based on what you have on hand.